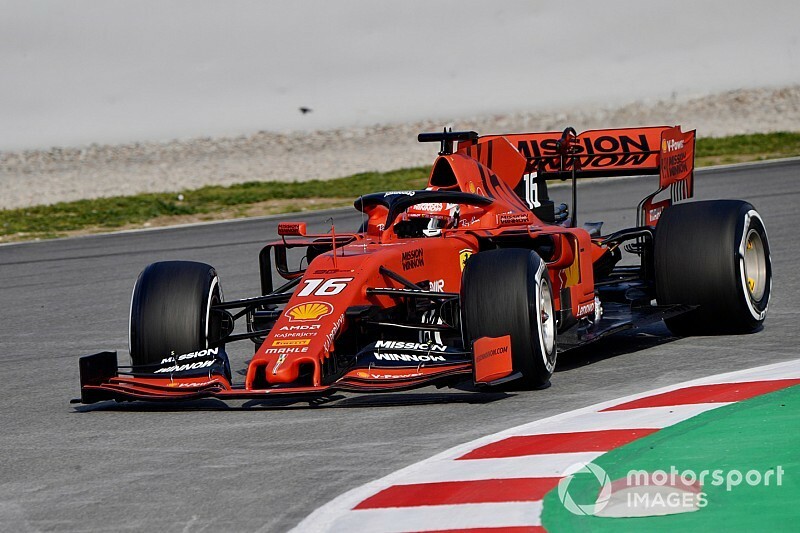 Leclerc, replacing Kimi Raikkonen in the Italian team for 2019, set the fastest time of the day in the morning session, logging a 1m18.247s on the C3 tyre. His time was narrowly slower than his teammate Sebastian Vettel’s opening-day benchmark, also set on C3s. 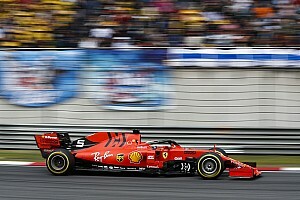 While Leclerc’s first day in the 2019 Ferrari was a success as he completed 157 laps, Gasly had a nightmare end to his debut as a full-time Red Bull driver, crashing at Turn 12. The rear end of the car snapped loose entering the corner, and the Honda-powered machine slid rear-left-first into the tyre barrier, finishing the day early for Red Bull. Most drivers concentrated on long runs during the session, although there were a late flurry of improvements. Lando Norris completed one of the longest stints of the afternoon in the McLaren and, like teammate Carlos Sainz the day before, he bolted on the C4 tyre – softer than that used by Leclerc – for a late push. 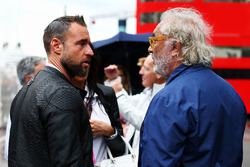 With it, he secured second place with a 1m18.553s, having completed 104. Also improving late was Norris' fellow Formula 2 graduate Alexander Albon in the Toro Rosso. After what appeared to be an impressive long run on the C2, he set a 1m19.301s on C4s to round out the day, which started with a crash but ended with 132 laps completed. However, Albon’s time wasn’t enough to jump Kevin Magnussen, who set a 1m19.206s to end up third for Haas. The American team conducted 59 laps in Magnussen’s hands, and then a further 13 with debutant Pietro Fittipaldi, who got his first taste of the current Haas late in the afternoon, as Magnussen was having trouble with his seat. The Brazilian racer is due to take the car for Wednesday morning too, and finished Tuesday with a lap of 1m21.849s at the foot of the order. Antonio Giovinazzi used the C4 tyre to claim fifth for the Ferrari-powered Alfa Romeo outfit. 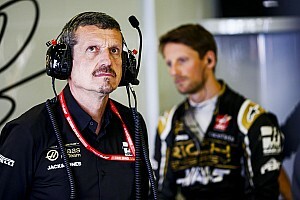 On his first day in the car he racked up 101 laps after taking over from Raikkonen. Valtteri Bottas took the wheel of the Mercedes for the afternoon only, taking over from teammate Lewis Hamilton, and set the sixth fastest time on the C3 tyre. Bottas' time was comfortably Mercedes’ fastest of the test so far, but his long-run pace – especially on the C3 tyre – was extremely impressive. Behind Gasly, Nico Hulkenberg set the eighth-fastest time, while his Renault teammate Daniel Ricciardo kept the ninth fastest time. Hamilton was 10th as he and Ricciardo handed over to their teammates for the afternoon session. 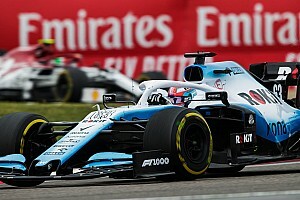 Racing Point's Lance Stroll conducted a variety of running during the day and set the 11th best time, ahead of Fittipaldi.